Any Mexican considering a run for El Norte must be watching with interest the preparations of American authorities for a possible meltdown of our southerly narco-state neighbor. Washington is not fortifying the US perimeter, as common sense and the national interest would indicate—it's fluffing the pillows and heating the coffee. From afar, it must look downright welcoming. In Austin, Texas state officials have expressed public concern about whether they have sufficient chow should a couple million Mexicans show up for lunch. More generally, Washington is now repackaging as a "refugee" crisis a potential illegal influx that would be different only in quantity from the current norm, but preceded by a Mexican collapse. 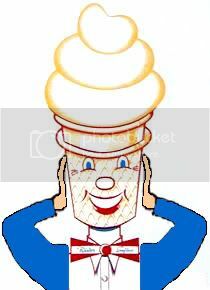 This language spin conforms to the new Obama administration's Mr. Softee approach to everything that poses a threat. For example, Homeland Security Chief Napolitano proclaimed recently that "terrorism" was too harsh a term. She prefers to say "man-caused disasters." (Isn't that sexist?) She wants to move away from the "politics of fear," you see. Likewise, the President has redubbed the "war on terror" as an "overseas contingency operation." Do these people sound like responsible adults, capable of protecting the country? "The idea is to avoid a repeat of the Mariel boatlift in 1980 when more than a 120,000. Cubans including mental patients and convicts fled the island and overwhelmed south Florida. That could mean building huge tent cities on the Mexican border, mobilizing the Coast Guard to evacuate refugees by sea." A tent city? Many Mexicans would regard a tent city in America, with free food and medical care, as a better deal than what they have at home. They could decide on that basis to head north. Plus, an unfenced tent city would be nothing more than a comfy free motel on the way to the lucrative metropolises. In this instance, "refugee" is just another word for illegal entry, only with more social welfare goodies attached. This is what Washington should say: in the event of a Mexico political crisis, "refugees" will not be admitted, period. If Mexicans need aid, we can give it them in Mexico. The administration should be battening the hatches. But instead it is getting out the welcome mat. Then there's Obama's new border security policy. Priority #1: protecting poor Mexico from America's nasty guns. Of those additional agents being sent to the border, many of them are checking cars headed south for firearms. Seriously. The thinking behind Obama's policy change appeared on March 30, when the Senate Foreign Relations Committee took its show on the road to El Paso to hold a hearing on border violence and. "On the Mexican side of the bridge, traffic zooms past the check point. Only rarely are vehicles stopped and inspected. When the Mexican authorities conduct a special check, the resulting traffic backup alerts smugglers and they use a convenient turn-around a couple hundred yards before the border. Structural changes must be made at both borders to address this issue. We are getting the message. LLast week, the Obama administration announced it will send more resources to the border—more DEA and ATF agents and mobile X-ray equipment to check for weapons going south. It won't solve the problem overnight, and more is needed. I hope these steps encourage the Mexican government to step up its interdiction efforts. " So, by taking on the job of checking vehicles headed into Mexico, Washington thinks that Mexico will learn from our good example and take on the job itself! The truth is the opposite: Mexico City has trained the USA to do the Mexicans' job by whining and complaining about guns headed south. They know how to manipulate Uncle Sucker very well. They've learned through years of practice. If Mexico were genuinely concerned about USA-bought firearms crossing the border, then they would have already acted to intercept. But even Kerry admitted that only one in four weapons seized by Mexicans last year was submitted to the ATF for background checks. It's a false issue anyway The drug cartels can buy the military-grade weaponry they use (including anti-tank rockets, mines, heavy machine guns and other materiel not available in your local American gun store) on the well developed international arms market. America remains the indulgent parent in this equation: the United States is supposed to deal with the border going both ways, supply a billion-plus dollars for Mexico's interior policing (the Merida Initiative) and incidentally accept dangerous Mexican trucks on our soil. For this considerable trouble and cost, Mexico has been continuously ungrateful and troublesome. Of course, according to Say's Law, supply determines demand, rather than the two forces being equal. Naturally, the Mexes are happy to blame America first, last and always. It's traditional among Mexicans that their country refuses to take responsibility for its failings, even though it is wealthy (consistently among the top 15 nations in GNP) and has many advantages in terms of natural resources and location. Mexico might become successful if the US stopped being the handy welfare provider. The President's border protection initiative was regarded as insufficiently serious by those close to the bleeding. He could have chosen to place troops on the border but he didn't. Even Phoenix mayor Phil Gordon (a political enemy of pro-borders Sheriff Arpaio) called it "a drop in the bucket in terms of what is needed." Border Patrol union leader TJ Bonner said the plan left him "underwhelmed." A group of border sheriffs was in Washington last week, pleading for more money to help them do their jobs. It would make sense to support our own people on the frontlines rather than flushing more dollars down the Mexican drain. Does the President really think that being Senor Nice Guy with Mexico will help on the border chaos, or is it all play-acting for his domestic Mexican base? Obama did leave open the possibility of militarization later on, so he perhaps understands that a Mexican stampede would not be popular among voters. Don't think the top military brass haven't considered a Mexico invasion. In 1996, former Secretary of Defense Caspar Weinberger wrote a book titled The Next War which presented several fictional scenarios of future conflicts, including a Mexico incursion. The precedent certainly exists: Bush invaded Afghanistan because of terrorist training camps. Mexican cartels have them for getting their foot soldiers up to speed. This was reported in the Dallas Morning News back in 2005, and on other occasions. So it's not news, though national reporting on the topic is sparse. Hopefully a full-blown failed state next door would be unacceptable to Washington, given the border anarchy on a normal day. Chaos has a way of spreading, and Los Angeles and Houston are nearby—not to mention how appealing a maximum open border would be to the jihadists. Freezing into pacifist inaction would open a Pandora's Box of bad, since fear incites the predators. And the world is full of sharks. Still, it's hard to imagine the kumbaya President launching a military campaign that would infuriate millions of Spanish-speaking constituents. After all, this is the guy planning to release Guantanamo terrorists into America and supplying them with welfare benefits. However, the US military is quietly training more Mexican counterparts, e.g. the Army Special Forces schooling commandos. That strategy could escalate. Training could lead to Vietnam-style advisors on the ground. Mission creep could set in, possibly leading eventually to a replay at the Halls of Montezuma. That scenario is doubly troublesome because of the Zeta experience. The Zetas originally were soldiers trained by the US Army to fight cartels, but switched over to the better-paying drug lords and became strong-arm guys for the Gulf cartel. So imparting better fighting skills to easily corruptible Mexicans may be a bad choice in the long run. Such are the choices America faces—living next door to a crack house of a country whose demanding denizens have been coddled by Washington for decades. One sensible expedient: legalize marijuana in the U.S. and tax it to the max to put the cartels out of business, at least regarding pot. But that's entirely too reasonable for Washington to consider. Brenda Walker (email her) lives in Northern California and publishes two websites, LimitsToGrowth.org and ImmigrationsHumanCost.org. She suspects the young Barack Hussein Obama may have zoned out too many times listening to John Lennon singing, "Imagine there's no countries...."